Even though 2016 has seen a general slowing of the number of new foreclosures nationally, New Jersey still leads the country with the highest number of properties currently in the foreclosure process, according to figures gathered throughout the beginning half of the year. Some good news is that the excessive holding pattern, which was created in New Jersey courts during the national mortgage crisis that began around 2007, has been alleviated, expediting the NJ foreclosure process in general. In fact, as of the date of this post, only several hundred homes are “stuck” somewhere in New Jersey’s judicial foreclosure channels. The rest of the 15,000+ NJ foreclosure properties are moving swiftly along and are predicted to take much less than the nearly one year average to make it to Sheriff’s Sale. The overall housing market in the garden state is in a better place now than it has been since the housing crisis began nearly a decade ago, but there is still significant room for improvement. With that being said, some New Jersey residents are excited by the positive feedback about the housing market, and are once again looking to either list their home for sale or make an offer on a property. Naturally, this is exciting news for those who make their living in the real estate and/or lending market. Times have been extremely tough for real estate agents and mortgage brokerage firms during the housing crisis. Even with the slow improvement in the housing market, home sales simply haven’t returned to their pre-crisis levels yet. Many New Jerseyans who work in the housing industry have had to turn to second jobs in order to support their families; some people abandoned the real estate industry entirely and took up new employment. A third group, made up mostly of lending companies, remained steadfast in their conviction to wait out the housing bubble. But how did they continue to make money all these years without qualified buyers and with very few homes on the market? Unfortunately, they did so by using unscrupulous tactics. Because more people turned to renting instead of buying over the past decade, lenders that wanted to stay in business had to actively seek out potential mortgagees. In doing so, they often targeted people who were under-qualified for a mortgage. 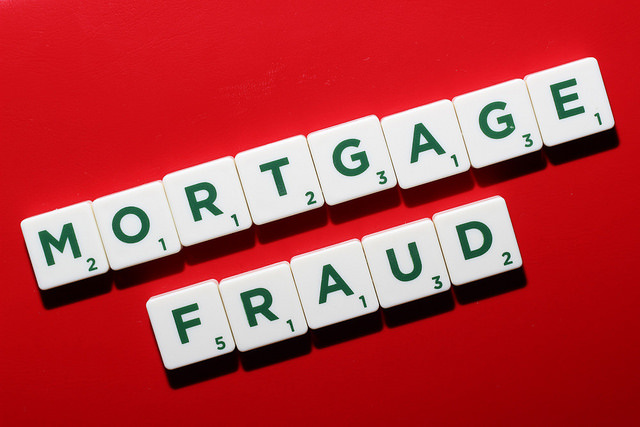 A mortgage “scam” is one in which the lender goes to extraordinary lengths to push borrowers through to approval – even when the potential borrowers won’t actually be able to afford the mortgage payments. Naturally, this only perpetuates the foreclosure problem in this country. Under normal circumstances, a lending company goes to great lengths to ensure that each and every borrower has the capacity to repay a loan before they get approved. 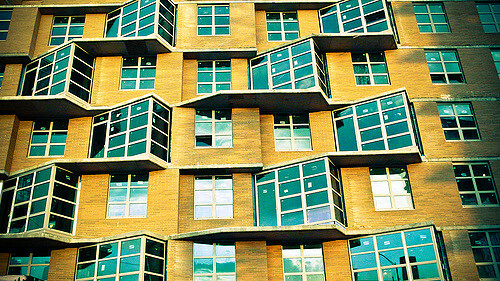 Avoiding potential foreclosures is typically at the top of every lender’s priority list. It seems too good to be true. This is a good statement to live by in general, but especially when it comes to someone offering to lend you a ton of money. If you keep waiting for ‘the catch,’ and none materializes, you can be sure that the catch is hidden and will make itself known when you least expect it. They’re offering you more than you can afford. Your debt-to-income ratio should not be more than 28%. What that means is that your mortgage payment shouldn’t be more than 28% of your total monthly income (pre-tax). If you’re being offered a mortgage that doesn’t fall within the 28% range, don’t sign. Your loan documents contain incorrect information. If a lender is asking you to put your John Hancock on a mortgage agreement that has ANY false information, walk away. Not only is falsifying mortgage documents a bad idea for your future financial wellness; it’s also illegal. Bottom line: keep your eyes wide open and do plenty of research before taking on a mortgage as the nation is still in its recovery phase from the housing crisis. It’s always wise to have an attorney who is well-versed in real estate contracts look over your mortgage paperwork before you close on a property. For your peace of mind and your financial stability, bring your attorney along to the closing, too. How is a Spendthrift Trust Affected by Bankruptcy in NJ? If someone close to you has passed away and made you the beneficiary of a spendthrift trust, you may be wondering exactly what this means. First and foremost: your loved one cared enough to think about and plan for your financial future after they were gone. Spendthrift trusts are set up with a trustee in place. The trustee is in charge of distributing funds from the spendthrift trust to the beneficiary on a set schedule. This type of spendthrift trust acts as a form of income for the beneficiary, and prevents them from wasteful spending behaviors that may occur if they were to be granted the full amount in one lump sum. Sometimes spendthrift trusts are set up so that the trustee does not distribute any money to the beneficiary. Instead the trustee will be directed to provide the beneficiary with goods and services that are paid for by the spendthrift trust. This type of situation is called for when the beneficiary is extremely irresponsible with money. The trustee typically uses the trust money to purchase groceries, clothing, and other monthly living expenses encountered by the beneficiary. I want to file for bankruptcy. Will my creditors take my spendthrift trust money? As we’ve talked about before, New Jersey bankruptcy law states that if a debtor files for bankruptcy in NJ, they are subject to a 180 day “look back” period with regard to inheritance money, life insurance funds and a number of legal settlements. The 180 day look back period was instated to reduce abuse of the bankruptcy system. Essentially, if a loved one dies within 180 days of when you filed for bankruptcy, your creditors are technically allowed to take any financial windfall you may experience as payment on your defaulted debts. A spendthrift trust does not allow even the beneficiary to have direct access to the funds, let alone the beneficiary’s creditors. 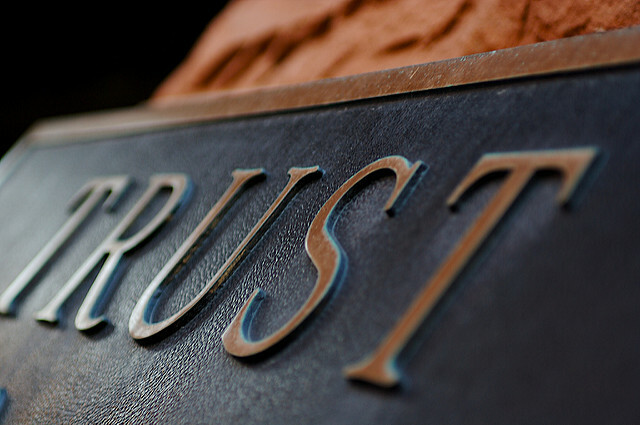 Only the trustee has access to the money while it is in the spendthrift trust. However, once the trustee disperses any of the funds to the beneficiary, those funds become subject to creditors’ claims if the bankruptcy has been filed within the 180 day look back period. Language can be inserted into anyone’s estate plan to prevent creditors from getting any of the spendthrift money. This will, of course, require you to engage in a difficult and uncomfortable conversation with the person whose will in which you are named as a beneficiary. The language used must specifically state that if you (the beneficiary) file for bankruptcy during the 180 day look back period, that you are not entitled to any money in the spendthrift trust until 181 days after the date of death. If you or a loved one need help setting up a spendthrift clause in your estate planning paperwork, seek assistance from a New Jersey estate planning attorney to ensure that the correct language is used. Estate planning is a significant life event that must be taken seriously as it can have a powerful effect on the lives of the beneficiaries. In a chapter 13 bankruptcy, debtors are able to reorganize their current debt load in order to make their monthly payments feasible. You should consider filing for chapter 13 if you have a steady income but your debts are too much for you to handle. Chapter 13 bankruptcies allow you to keep all of your assets. You will still have to continue making payments on all of your debts; however, your debt timelines will be extended (typically over a three to five year period). Sometimes debtors file for chapter 13 only to realize that they cannot even manage their agreed upon payments. If this happens, you should be able to modify your chapter 13 plan. For example, if part of your reorganization plan involves a monthly car payment – you could surrender your vehicle and your plan payment amount will go down. Of course, this is only possible if you can get by without a car, or if you have another vehicle that you can use. If there are no effective ways to significantly modify your chapter 13 plan, you still have another option: bankruptcy conversion. A bankruptcy conversion equates to changing bankruptcy chapters. How does a bankruptcy conversion work? 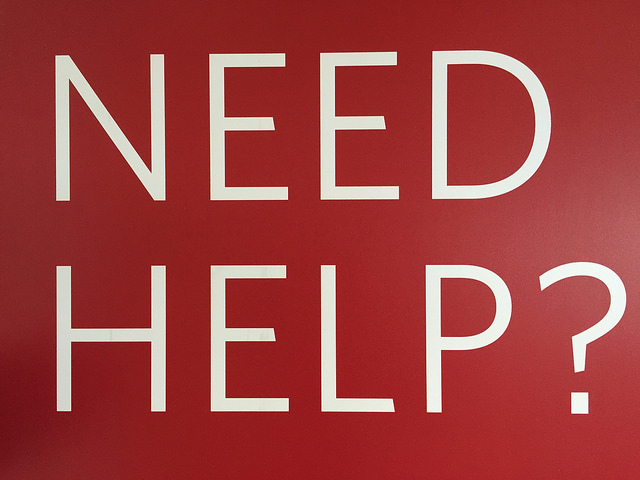 The first step in converting your bankruptcy is to speak with your bankruptcy attorney. This should always be your initial reaction whenever making any changes to your finances if you’re currently in bankruptcy. Your NJ bankruptcy attorney will be able to determine whether you will qualify for a chapter 7 or if it would be more beneficial for you to modify your existing chapter 13 plan. As long as you have not received a chapter 7 discharge within the past eight years, you can “convert” a chapter 13 to a chapter 7 bankruptcy by re-filing some of your bankruptcy forms. You’ll be assigned a new trustee, and some of your assets will be sold in order to lower your debt total. At the end of a chapter 7 case, you’ll (ideally) be granted a discharge of all or most of your remaining debts that were not paid by liquidating some of your assets. Will I qualify for chapter 7? If you already successfully filed for and were granted a chapter 13 reorganization bankruptcy, you should be able to voluntarily switch to a chapter 7 at any time. You and your attorney will have to file a Notice of Voluntary Conversion with the court. If you’ve experienced one of more of the above situations, converting your chapter 13 bankruptcy to a chapter 7 liquidation bankruptcy makes sense and the bankruptcy court will likely grant you a conversion with no problems. What if I previously filed for chapter 7 and was denied? In the event that you have recently filed for chapter 7 but didn’t qualify, you may have to take the NJ Means Test. If your jurisdiction doesn’t require that you pass the Means Test, the court will request a written explanation from you disclosing why you need to convert to a chapter 7. How much paperwork is involved in converting a chapter 13 into a chapter 7 bankruptcy? Luckily, you do not have to completely start over if you want to convert to a chapter 7 bankruptcy. Some forms will need to be re-filed so that the court has your updated financial information, but your original bankruptcy petition will remain in place. To learn more about converting from a chapter 13 to a chapter 7 bankruptcy, talk to an experienced New Jersey bankruptcy lawyer. Your specific case details are important and your attorney will be able to steer you in the direction that will get you to your desired financial destination as quickly as possible. What are Creditors Entitled to After my Bankruptcy Discharge? You received your bankruptcy discharge – congratulations on a fresh financial start! Ridding yourself of the debts that were weighing you down can be extremely liberating and is cause for a gigantic sigh of relief. After your debts are discharged, there are still certain protocols to follow so that you don’t make an expensive mistake. These rules were created to prevent bankruptcy fraud. For example, a debtor cannot give someone a large sum of money that they will then retrieve after the case is over. The reason for this would be to hide money from the trustee so that it cannot be used to pay creditors. That is a blatant example of bankruptcy fraud, and any debtor who attempts to outsmart the bankruptcy court in this manner has little chance of “getting away with it.” Punishment for bankruptcy fraud is harsh. Inheritance – If someone close to you passes away within 180 days of the date on your bankruptcy petition, you are obligated to alert the bankruptcy court and that money will then go to your creditors. This rule was instated to prevent people from filing for bankruptcy when they knew someone close to them was on their death bed. By filing for bankruptcy before their death, the inheritance money would be protected and the debtor would have essentially scammed the system. Creepy and illegal. Insurance proceeds – The same rules apply to life insurance proceeds that you become entitled to within 180 days of filing for bankruptcy. It is imperative that you keep careful track of the specific dates of important events surrounding your case. The important date in this case is when your family member or loved one passed away and you became entitled to any life insurance proceeds. If the date of death is within 180 days of the date that you filed for bankruptcy, the life insurance money will go to paying off your debts. Lawsuit settlements – All of your legal claims and lawsuits pending must be listed in your bankruptcy paperwork. If you receive a payout from a lawsuit you initiated before you filed for bankruptcy, that money will generally become part of your bankruptcy estate and will go towards paying your creditors. In New Jersey bankruptcy cases, you can choose to follow either NJ or federal exemption guidelines. NJ exemptions allow you to keep $1000 of any money received via lawsuit. Federal exemptions regarding lawsuit settlements during bankruptcy can be found here. Divorce settlements – While child and marital support obligations will not be affected by a bankruptcy (filed by either spouse), part or all of the marital property settlement, if established within the 180 days following the initial bankruptcy petition, may be liquidated and used to pay your (or your spouse’s) creditors. Your divorce lawyer should discuss the specifics of this with your bankruptcy attorney to ensure that you and your ex-spouse are able to keep as much of your marital assets as possible. Always consult with your bankruptcy lawyer if you have any questions about the rules following your bankruptcy discharge to ensure that you make wise decisions that won’t end up costing you a significant amount of money. 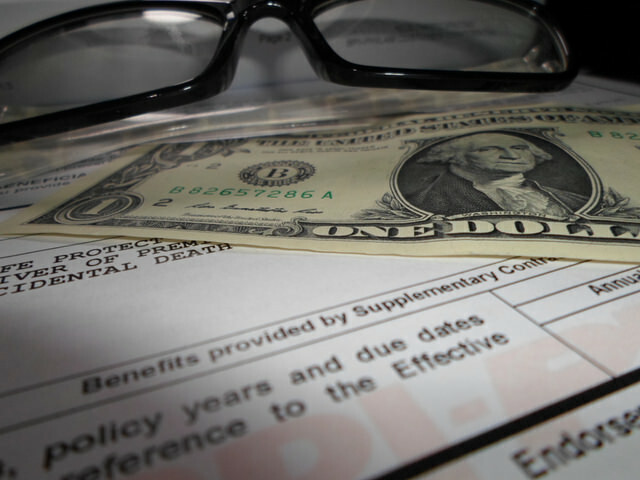 Is My Workers’ Compensation Settlement Safe from Creditors? Carrying workers’ compensation insurance is a requirement for employers in every state except Texas. This type of insurance is a safety net, in a way, that protects employers from being sued and potentially having to pay out large sums of money in the event of an accident or injury in the workplace. If you’ve been injured at work and have received a workers’ compensation settlement, you may potentially still be out of work due to your injury. In many cases, even with a workers’ compensation settlement, workplace injuries lead to financial strife. Extended time off work in order to heal or to receive surgery obviously means no wages earned during that time. Sure, your workers’ “comp” will definitely help, but it will not replace your entire income. This frequently leads to missed mortgage or other important payments. Ultimately, you may decide to file for bankruptcy in order to get rid of the past due debts that have accrued. If I file for bankruptcy in NJ, will I be able to keep my workers’ compensation settlement money? When a person files for bankruptcy in any state, there are state “exemptions” – assets that are protected from liquidation or distribution to creditors to pay back some of the debts owed. Other examples of NJ bankruptcy exemptions include social security disability benefits, life insurance benefits (usually), retirement benefits and unemployment compensation. Also on that list of exemptions in New Jersey is workers’ compensation settlement funds. To be clear, anything listed as exempt cannot be taken from you if you file for bankruptcy. Although safe from creditors, any monies received as part of your workers’ comp settlement must be carefully kept in a designated account into which you only deposit money paid to you for workers’ compensation. The reason it is so important to keep your exempt cash assets in their own account is because of a funny word that bankruptcy judges don’t like to see: commingling. Now, even though commingling may give you mental images of a long-past dinner party where you didn’t know anyone, in financial terms (at least in terms of bankruptcy in NJ), it means certain death. Not yours, mind you, but if you allow your exempt monies to commingle with funds you receive from other sources, you’ll cause your protected settlement money to lose its exemption status, and you’ll have to say goodbye to it. If you want to keep your workers’ comp settlement, take every precaution to ensure that it lives in its own private bank account with absolutely NO funds from any other source. How will anyone know if I have allowed my funds to commingle? Granted, it may feel like you can simply tell the bankruptcy trustee that you’ve kept your money separated by source, even if there have been times when it was just easier to allow commingling to occur. Know this: if you fail to keep your workers’ comp funds completely separate, the trustee WILL find out about it. Every deposit made into every account you own will be scrutinized. You will need to keep a detailed paper trail that clearly shows the origin of every single cent kept in all of your bank accounts. While you do have to be extremely careful in order to protect your exempt assets in bankruptcy, as long as you follow the rules, you’ll be able to keep all of your New Jersey workers’ compensation money. Homeowners in New Jersey who’ve fallen behind on their mortgage payments and have received notice of foreclosure on their home from their lender actually have a number of options. Depending on their financial situation, desire to keep their home and other case-specific factors, it is quite possible to make a responsible and sound decision even after falling into foreclosure. Unfortunately, a significant number of NJ residents simply don’t know enough about the foreclosure process. Fueled by fear of eviction by their lender, a lot of distressed homeowners flee the scene, putting as much distance between themselves and their foreclosed property as possible. The problem with this strategy is that the foreclosure timeline in New Jersey is significant, often taking many, many months for a single foreclosure case to reach completion. The abandoned properties left by vanishing homeowners must sit, unoccupied, while their paperwork slowly makes its way through the court system. During this time period, the home and lot it sits on become an eyesore: grass and weeds grow to exorbitant heights, and the structure itself is often vandalized. Word of zombie homes travels quickly, and unfortunately to the wrong people. Abandoned homes often turn into crack houses and are frequently stripped of things like copper pipes and copper wiring, which are then sold. These types of activities not only cause significant damage to the property, but also create fear among neighbors while simultaneously causing local property values to plummet. 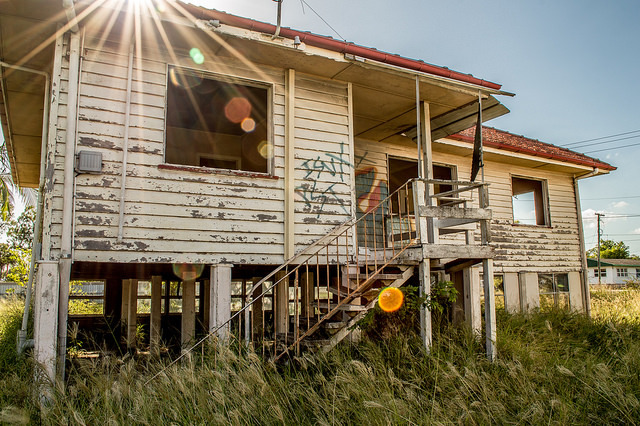 Zombie foreclosures are problematic around the country, but because New Jersey has the highest foreclosure rate in the US, the number of abandoned homes in the garden state has spurred some towns into action. This action comes in the form of creating a record of all foreclosure properties so that town or county officials have contact information for responsible parties. This will enable town leaders to ensure that empty properties don’t fall into disrepair and that illegal activities aren’t occurring inside the homes. Participating municipalities are requiring that all foreclosure properties be registered with the town by the responsible party. If the homeowner has left town and is unreachable, the onus for registration (including paying the registration fee) falls on the lender or lien holder. Identification of the party responsible for the property: Homeowner, lender, lien holder, trustee, management company, agent, or other. Contact information of responsible party: Name, address and current phone number where an in-state person can be reached in the event of a problem with the property in question. Grass/weeds must be kept under 10 inches high. Dead trees, fallen tree limbs and dead shrubbery must be removed. Snow shall be removed from any public sidewalks as needed. Waste, trash and other rubbish is to be cleared from the property. No illegal or hazardous activity shall be performed on the property. Standing water should not accumulate anywhere on the property. All enclosures (fences and gates) are to be maintained and functional. Any pools or hot tubs must be kept clean and either maintained or drained so as to not attract mosquitoes and other insects. Pools must be kept covered whether full or drained to prevent accidents. Basements must be kept watertight and clear of rodents. Exterior walls shall be maintained and kept free of holes and rotting wood so as to protect the interior of the home from water and rodents. Doors and windows are to be kept in stable and locking condition to prevent unauthorized entry. The roof must be in good condition so that water does not enter the home. The exterior siding, brick, stone, trim, soffits, moldings and any other decorative material is to be kept in good repair. Chimney/flue must be functional and weather tight. Exterior stairs, porches, balconies and walkways must be safe for use. Street address (number) must be visible on the front of the house; the numerals must be at least three inches high and two inches wide. Failure to comply with anything contained on the registration form may lead to the summons of the responsible party by the municipal court. Hopefully more New Jersey towns will initiate the foreclosure registration process in the near future, keeping our neighborhoods cleaner, safer and more attractive while we slowly bounce back from the housing crisis. Can My Homeowners’ Association Foreclose on My Home? You’d have to be living with your head in the sand not to know that failure to pay your mortgage will eventually result in foreclosure by your lender. Banks and other mortgage lending firms generally only care about one thing when it comes to loans they’ve granted, and that is: getting their money back. When approving mortgage loans, lenders are extremely selective for a reason. They want to ensure that you will be able to handle the repayment schedule of your loan. Failure to do so, even missing a single mortgage payment, sets off a red flag within most lending corporations. You will be contacted soon after a payment due date elapses. If you missed a payment due to forgetfulness, your lender will do everything they can to collect the payment (almost assuredly with a late fee attached) from you over the phone. Further missed payments will force your lender’s hand into filing foreclosure against you, which can ultimately lead to the repossession of your home. Although it may seem drastic, banks and lending companies depend on borrowers’ loan payments in order to stay in business. As New Jersey foreclosure rates have soared over the past few years, most homeowners have become familiar with the concept of foreclosure for failure to pay their monthly mortgage bill. What many New Jerseyans don’t know is that their mortgage lender isn’t the only entity that can foreclose on their home. Many New Jersey residents live in housing developments that are ‘governed’ by homeowners’ associations. These organizations, often referred to as HOAs, are in charge of making rules for the development and, in turn, enforcing those rules. Residents must pay monthly dues to their HOA, as they also oversee the care, upkeep and repair of common areas in the development. HOA dues in New Jersey typically range from $200-$400 per month, but can be more or less depending on several factors, including: the average property value within the development and the existing amenities that require maintenance (tennis courts, swimming pools, parking garages, fitness centers, security systems and gates, landscaping and more). When facing financial difficulties, many homeowners in New Jersey stop making their HOA payments and keep making their mortgage payments, thinking that this will keep them out of foreclosure. Unfortunately, that simply isn’t the case. Falling behind on your homeowners’ association dues can result in your HOA putting a lien on your property. Failure to bring your past due HOA fees current gives your homeowners’ association the right to foreclose, even if you are current on your mortgage! Just as lenders must file foreclosure via the NJ legal system, so must homeowners’ associations. This means that your HOA can file a foreclosure lawsuit against you in the same manner that your lender can if you stop making mortgage payments. What happens to my mortgage in the case of a HOA foreclosure? If your homeowners’ association successfully forecloses on your home, it can either continue making mortgage payments to your lender or not make any payments. Many HOAs will rent out the property (while making no mortgage payments) and wait for the lender, whose liens take precedence over the HOA’s liens, to file a second foreclosure. Either way, the homeowners’ association will achieve its goal of reducing or resolving its financial loss caused by your failure to pay your HOA dues. Takeaway: your mortgage payment and your homeowners’ association dues are equally important, and failure to pay either can cause you to lose your home to foreclosure. What if I Can’t Pay Back my Personal Loan? How will my Spouse’s Debt Affect me? Can a NJ Bankruptcy Forgive Gender Reassignment Surgery Debts?